Did you know that if you’ve been using the cheap powdered cinnamon commonly found in most grocery stores you’ve been deceived? Well, it’s true! There are 2 types of Cinnamon on the market and the one that claims to have many health benefits is not commonly sold at the major supermarkets. Instead, there is a toxic variety called Cassia cinnamon being sold for a much cheaper price. Find out how to avoid falling for the fake stuff after this quick overview of True Cinnamon health benefits. Cinnamon is well respected in the Ayurvedic world due to its stimulating effect on the circulation, its heating qualities, and its sweet yet powerful rasa (meaning flavour in Sanskrit). The most important benefits of this sweet spice are its stimulating, anti-clotting, anti-microbial and blood sugar controlling capabilities. It has long been used to help with poor circulation, especially for getting increased blood flow to joints and lungs. The spicy, heating qualities of cinnamon will help heat up the lungs and liquify the congestion to ease clearance of mucous. Also this is useful for those suffering from joint pain and cold hands and feet. The cinnamaldehyde in cinnamon helps prevent unwanted clumping of blood platelets, which helps prevent impeded blood flow and heart disease. It also helps prevent inflammation by inhibiting release of arachidonic acid which triggers the inflammatory response. So, load up on cinnamon for a healthier cardiovascular system and for prevention of inflammatory diseases like rheumatoid arthritis. Cinnamon is also known to stimulate carbohydrate metabolism which helps control blood sugars. This is especially important for improving insulin sensitivity and preventing/treating high blood sugars for people with Type 2 Diabetes. Cinnamons’ pungent quality also helps ignite the digestive fire – Agni, which is important for those with a sluggish metabolism and poor digestion. It’s anti-bacterial properties help to relieve abdominal issues such as gas, bloating, diarrhea, and nausea, so having a strong cinnamon tea is a good idea when your tummy is giving you trouble. With so many healthful benefits, you might be wondering how to increase your daily intake of cinnamon….well the answer is NOT having more cinnamon buns! Cinnamon is extremely versatile and can be used both in sweet and savoury foods. Before you go ahead and start adding cinnamon to your daily cooking be aware that there are 2 types of cinnamon on the market and only one of them is the true health product. Ceylon variety (usually from India, Sri Lanka) is the true cinnamon which is usually more expensive and Cassia is the Cinnamon’s relative plant (usually from Indonesia, China, and Vietnam) which is cheap and most commonly sold as powder. 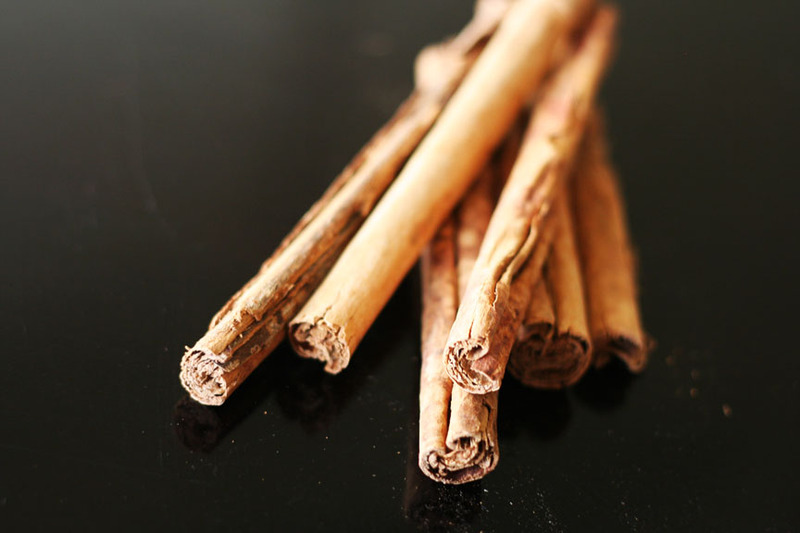 Cassia cinnamon contains much higher amounts of a phytochemical called coumarin, which has strong anticoagulant properties and can be toxic to the liver if used in large amounts over an extended period of time. So, BUYER BEWARE – look for the true Ceylon Cinnamon in your health food isle. An easy way to tell them apart is to go for the cinnamon sticks that have many layers, rather than just thick curled bark. TIP: Buy true Ceylon cinnamon sticks and use the grinder to powderize it one stick at a time to keep fresh.